Port View Apartments in Boardman, OR. Port View Apartments located in Boardman, OR boast easy access to I-84, I-82 and Hwy 730. Spend your time taking a boat ride on the Columbia River, a short drive to Pasco, Kennewick and Richland (Tri-cities), WA or spend time at the Umatilla National Wildlife Refuge. 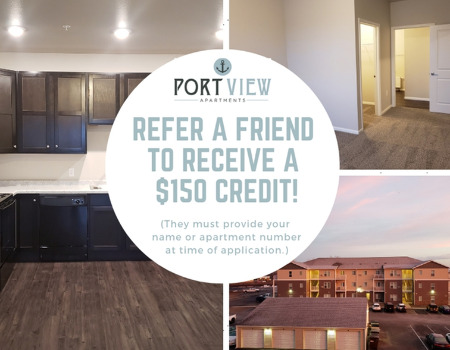 Port View Apartments is your oasis from a hard day of work. Port View Apartments include studio, one, two, and three bedroom floor plans. Call today to schedule a tour of our beautiful community.